Prototype House has full-service patent research and provisional patent filing services for our clients. We help to insure that ideas are protected and that costly disputes are avoided down the road. We strive to know your potential product inside and out via research and the input of our design and engineering professionals so as to ensure your full protection once in the marketplace. We are here to help you to avoid disastrous lawsuits from competitors that may already have patents with the Federal Trade Commission or the International Trade Commission. Prototype House assists you in optioning your patent, whereby you can obtain licensing with perceived credibility. Our further intent is for you to be in a viable position to acquire potential venture capital on the road to selling your product. With a patent, you can gain exclusive rights to reap the benefits of your product invention for a period of twenty years from the date of the filing of the patent application. With these exclusive rights, you are empowered to prevent others from commercially exploiting your patented invention. This in turn reduces the competition and can establish your company as the foremost player on the market. Should you choose not to go the route of production, having patent protection also affords you the opportunity to license or sell your product idea. In addition, patent portfolios add great value to your business both perceived and on the actual bottom line. Others generally see patent portfolios as a sign of the expertise and technological prowess of your company. This can also prove very helpful for raising funds and finding partners for your various endeavors. Prototype House knows how important obtaining a patent can be. It can also be confusing to research as well as choosing the ones that are best for you. Our legal team works diligently to be there to help with this difficult and time consuming process. We are always available to answer questions and respond to any concerns that you may have in regards to patent protection. 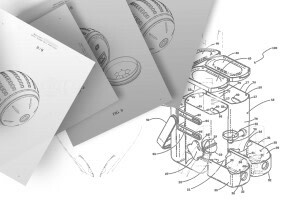 We provide you with access to an experienced patent attorney, detailed drawings and an engineering write up. Patent research is invaluable in order to protect your investment of not only money, but also time and effort. It increased the chances that your product will endure for the long run and also ensures competitive survival in the global marketplace. Trademarks are used for protecting colors, names, symbols, words or sounds that distinguish services and goods from competitors. As long as they are being used in commerce, a trademark can be renewed as many times as you like. Copyright is used to protect work that is authored, such as music, writing or works of art which have been expressed tangibly. Copyrights are registered by the Library of Congress and they last up until 70 years after the author’s death. Patents are a type of property right. They give the holder a limited time right to disable others from selling, making, offering to sell, using, or importing in the U.S. subject matter which is within the scope of protection that has been granted by the patent. There are three different types of patents. 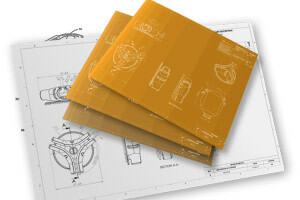 Design Patents are granted for an article of manufacture with a new, ornamental and original design and protect the appearance of your invention. They last for 14 years from the date of issue and should only be chosen if the appearance of your invention is of paramount importance. Utility Patents are the most common type that are granted and they have two sub-types, non-provisional and provisional. 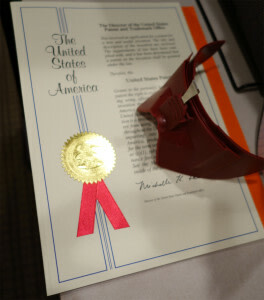 This type of patent allows you to make an exclusive claim to an invention for a period of time. Non-Provisional Applications: This should be extremely detailed and contain several parts. The description should fully describe your product, including applications and components. It will be the largest portion of the application and should also include drawing explanations, any background information that is available and references to other applications for patents if applicable. Drawings are required to be included with an application if they are necessary to help understand the subject matter. They are done in black and white and are 2D line drawings. The claims section is where you are able to expand on what is novel about your product. It must be very specific, but yet still allow for future improvements or modifications. The last part is an abstract, which is basically just a short overview, and is usually used for the purpose of searches. You can file a non-provisional right from the beginning, but it is extremely more expensive than the simpler provisional. Provisional Applications: These give immediate “patent pending” status and also give you the right to file for a non-provisional within the next year. Applications for provisional are not examined and are much cheaper than non-provisional. Even though a patent is not always required for you to obtain venture capitalist funding, it does make it easier for investors when they are doing product presentations. And although this is not required, our legal team will do a patent search and review before we file your application. This will give you insight into ideas that others have had that are similar to yours as well as assisting you in making an informed decision about filing since you can achieve the broadest claims and applications possible by viewing which parts of your idea are new. Our international commercial database allows us to search any previously filed patents, failed or pending applications and patents that have been granted. Our legal partners will happily sit down with you to discuss which form of protection will be the best for your individual product.